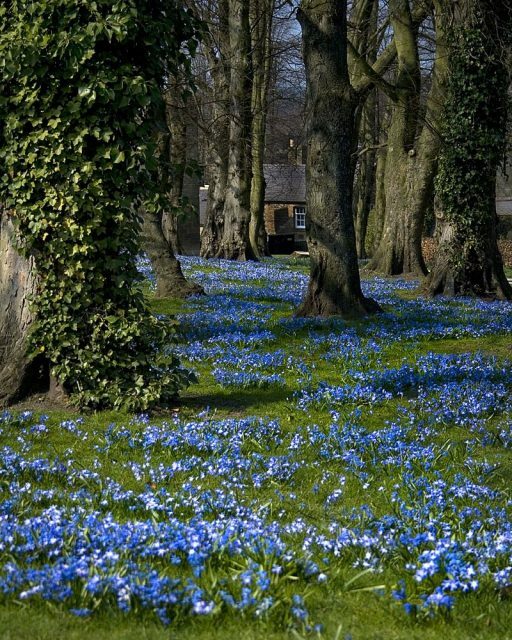 For most people, a stroll through an English country garden sounds perfect: chirping birds, buzzing bees, the delicate yet heady smell of roses in the air. But one particular English garden is considerably less than idyllic. In fact, its contents have the potential to kill you. The original garden at Alnwick Castle in Northumberland, England was established in 1750 by the 1st Duke of Northumberland and landscaped by the celebrated landscape architect Capability Brown. During the Second World War, it was turned over and provided food, as part of the country’s “Dig for Victory” campaign. But it fell into disrepair after 1945 and closed as a working garden in 1950. In 1997, it was redeveloped by the Duchess of Northumberland, Jane Percy, and includes several water features, a visitor center, and one of the largest tree houses in the world. 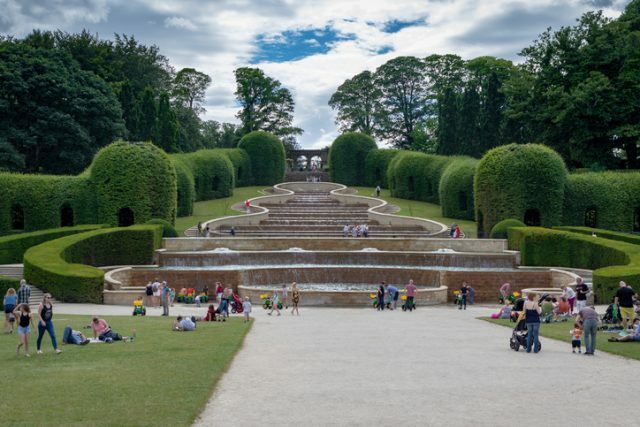 Today, the garden is one of Northern England’s most popular tourist attractions. 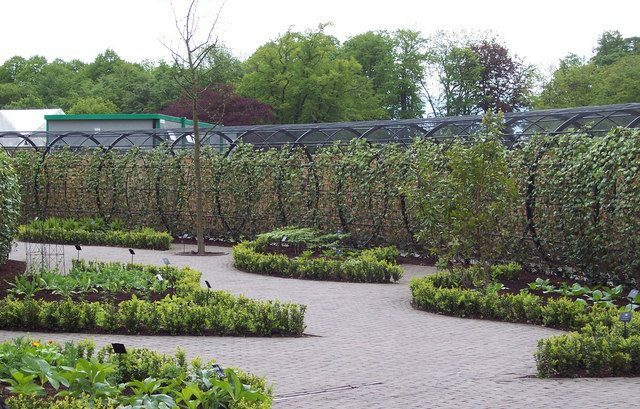 Having re-established the garden at Alnwick, the Duchess knew that she wanted to do something more to draw people in: “If you’re building something, especially a visitor attraction, it needs to be something really unique… I thought, ‘Let’s try and do something really different.’” And so, the idea of the Alnwick Poison Garden was born. The Duchess was very much inspired by a visit to the Medici poison garden in Italy, as well as a visit to the archaeological site of the largest hospital in medieval Scotland. Here she learned about plants like henbane, hemlock, and opium that were used to anesthetize patients, and this furthered her interest in creating a garden of entirely lethal plants. This was all part of the impetus behind the plants that the Duchess collected for her new project: they had to tell a story. 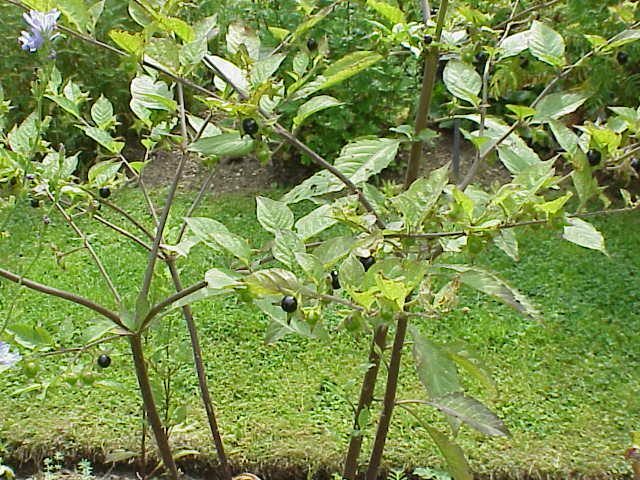 She also set about educating people on both exotic specimens as well as common, local plants, such as laurel hedges. According to the Duchess, visitors are often surprised that plants like laurel hedges are highly toxic. Drivers have even fallen asleep at the wheel having loaded up their cars with cuttings of laurel leaves, as the branches emit toxic fumes once they are cut. The garden was opened to the public in 2005 and includes around 100 different types of nefarious plants, from hemlock to foxglove, as well as Deadly Nightshade (Atropa belladonna), and Strychnos nuxvomica, which is the source of strychnine, as well as magic mushrooms, tobacco, and cannabis. Visitors to the garden are prohibited from smelling, touching or tasting any of the plants, but some people still experience their effects. 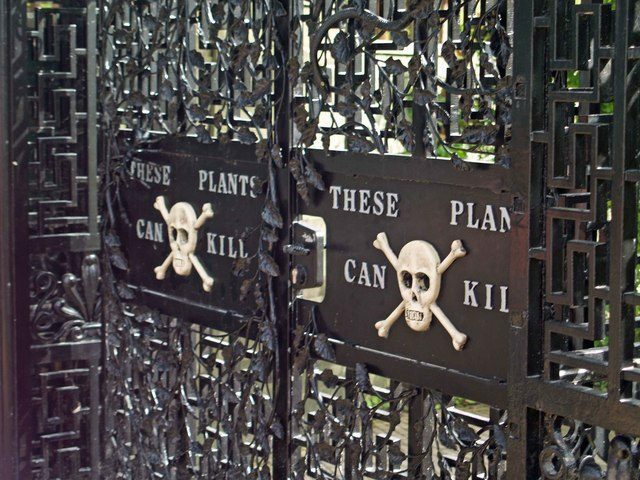 The signage at the garden is not obscure in any way: the gates themselves feature a clear indication that the contents of the garden can kill you. Visitors are not free to walk the garden on their own, for fairly obvious reasons. Tours are available in which guides explain the different properties of the plants, and ensure that curious tourists do not stray. Some of the plants are so deadly that they are caged, and the entire garden is under a 24-hour security watch. 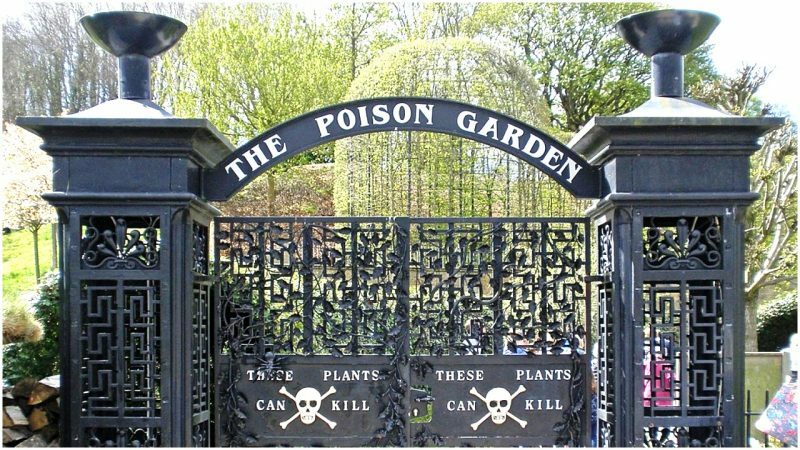 The Poison Garden at Alnwick is proof that English country gardens are not boring. They can be really quite fascinating, even if sometimes deadly.